The perfect way to say "I love you, you're perfect, let's eat." Looks like someone has been to Bacon Camp! said Miss Cellania on March 24, 2010 1:09 PM. I did some more digging. 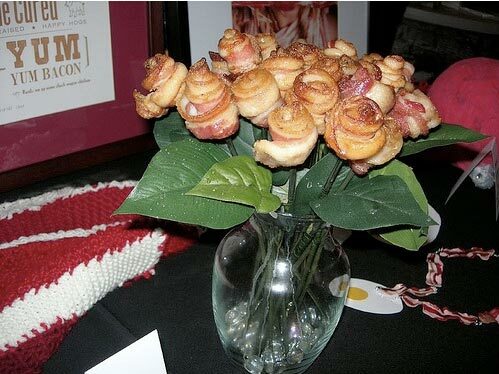 I still don't know who took this particular picture, but the cook was Erica Carlson, and she won the art award for these roses at the Columbus Bacon Camp 2009.
said Miss Cellania on March 24, 2010 1:37 PM.